What’s On The Turntable This Week? When I was young, I didn’t have a huge pile of records like some of my friends who were “into” music… I just couldn’t afford to buy one every week. I did have a few, though. The first one I remember having was Snoopy vs. The Red Baron by The Royal Guardsmen, and I remember buying Led Zeppelin 3 when it was new. But mostly I sneaked and played my older brother’s and sister’s records. I did manage to collect about 40 records by the time I was working at the recording studio, but they were all ruined in a hurricane. By the time I got to them, several weeks had passed and they had all gotten wet, molded, and stuck together… all gone. I had to toss the lot. It started when my wife’s older brother gave me his turntableand his records. He didn’t want to fool with them anymore… he’d gone iPod and didn’t want to buy a preamp/stereo. Then I started hitting the used record shops, looking to replace all those that I lost in the hurricane. Some I can’t afford to replace… it turns out they have become very rare. The ones I miss most were signed, bought at concerts… not only are they impossible to find now, their sentimental value can’t be replaced. 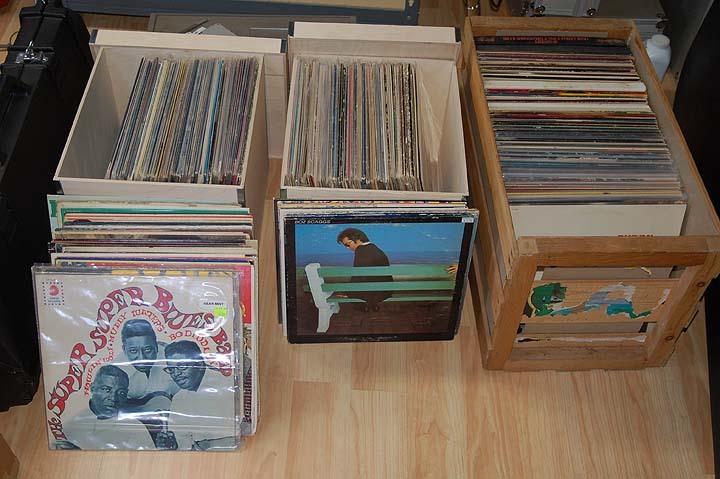 So my record collection has gotten fairly respectable lately… some would call it a huge pile. I’m at 250 discs at last count. About half were given to me. Some of these I really could care less about… the soundtrack to Footloose, for example, or Barry Manilow’s Greatest Hits probably won’t see a needle while I own them. But some others are some real prizes. My current record collection numbers about 250 albums. Many of these have been transferred to MP3. This page is about some of those prizes. I’ll write a quick review about some of the music that I like. It’s just personal observations… I don’t expect many people will agree with my comments, and your preferences in music will surely be very different. But the hope here is perhaps I’ll remind you of some really good tunes that you’ve forgotten about, and maybe even poke your interest enough to seek out your local record store (they’re still around, but you’ll have to do some hunting) and find a few vinyl treasures of your own… it’s fun! I was in Knoxville TN for a few days this week and discovered some good vinyl sources. The first was Disc Exchange, a large CD and DVD store with lots of used CDs. They have a dedicated vinyl room that isn’t too huge, perhaps a couple hundred square feet. Much of what was there was new vinyl, but the used bin did seem to hold good titles. Most were in really good shape, and I found a few that I liked. On the way out, though, I found their sale vinyl bin that had been placed near the front… $2 each or ten for a buck each. After going through these, I found quite a few more. I ended up spending about $24 for 14 albums. These included REM, several Jackson Browne, a Jimi Hendrix “Best Of,” and even a Herman’s Hermits that I couldn’t resist. The covers are in average shape, but the vinyl itself is generally VG-Ex. Can’t wait to get them home! I also stopped into a couple music stores, and was surprised to find that both had some boxes of used vinyl for sale. They weren’t priced quite as good as at Disc Exchange, but reasonable nonetheless… generally $2-$6 each, so don’t overlook these kinds of sources in your hunt for good old music. Moody Blues In Search Of The Lost Chord (1968, Deram) Groovy, Baby… when I was young, I always wanted to be like my older brother and sister. They were teenagers in 1969, and I would often listen to their records. My parents put the kabash on Jimi Hendrix, but the Moody Blues were always in the family rack. While at first blush, one would think this stuff is only good with a hit of acid to go along with it, I disagree. Yes, it is supremely dated, but it’s still fun to listen to every once and awhile. It isn’t my favoite Moody Blues album, but it does include Ride My Seesaw, my favorite Moody Blues song. Catalog value on this one is kinda high at $20, but you’ll still find these in the dollar bin… mine cost two bucks with a rough cover, but good vinyl. 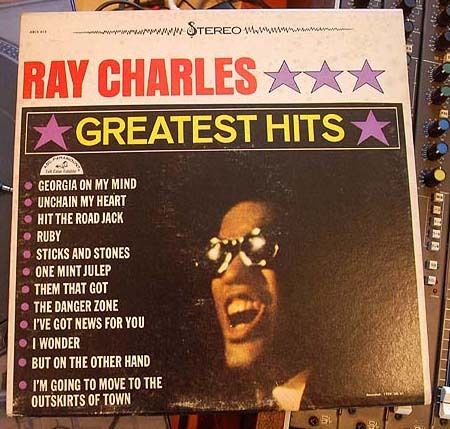 would be many other “greatest hits” albums by Ray Charles, this one was the first. Anything by Ray Charles pretty much drips with class. These can still be bought for around $12 online, but more in a store where you can closely examine the disc… always a good idea. 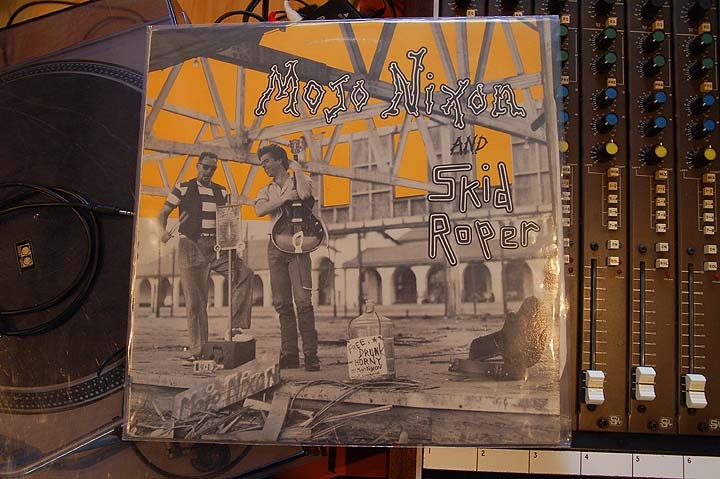 Mojo Nixon and Skid Roper (untitled, 1985) This one isn’t for everybody. Heavily blues influenced, it’s just Mojo on guitar and Skid on washboard & whatever else was lying around that he could beat on. The arrangements are necessarily sparse. I didn’t care for these songs at all the first time that I heard them, but found the tunes running through my head at the oddest moments. The band tries hard to offend, first slamming religion with “I saw Jesus at McDonalds at midnight” and moving straight through to “Art Fag Shuffle” without missing a beat. It’s strangely addictive music, sort of a blues-meets-poetry-slam and let’s-see-who-we-can-piss-off sort of thing. 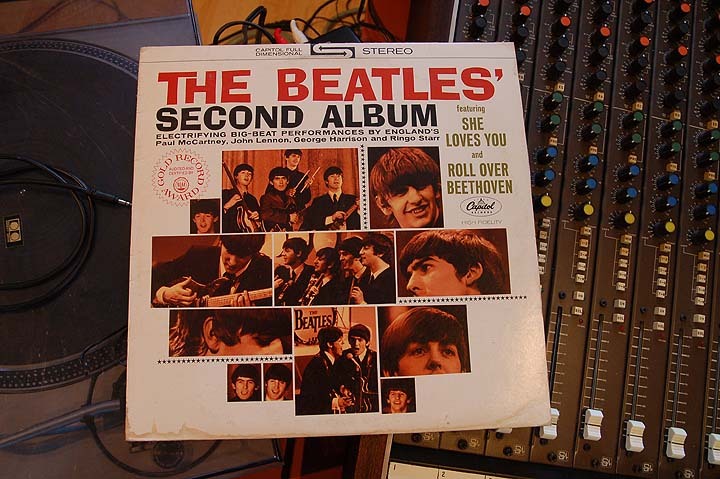 The Beatles Second Album. I got this one recently on permanent loan from my friend Kyle Meadows. I need to go through and check, but this one just about completes my collection of Beatles records, and I now have nearly all their major releases… except for Let It Be. (Got it!) What’s surprising about this one is the condition. It’s the Capitol stereo release, and it shows very little wear… most of the early Beatles records that I’ve seen have been played to death.